Our Values are the foundation of who we are and why we meet our jobs each day with passion and commitment. 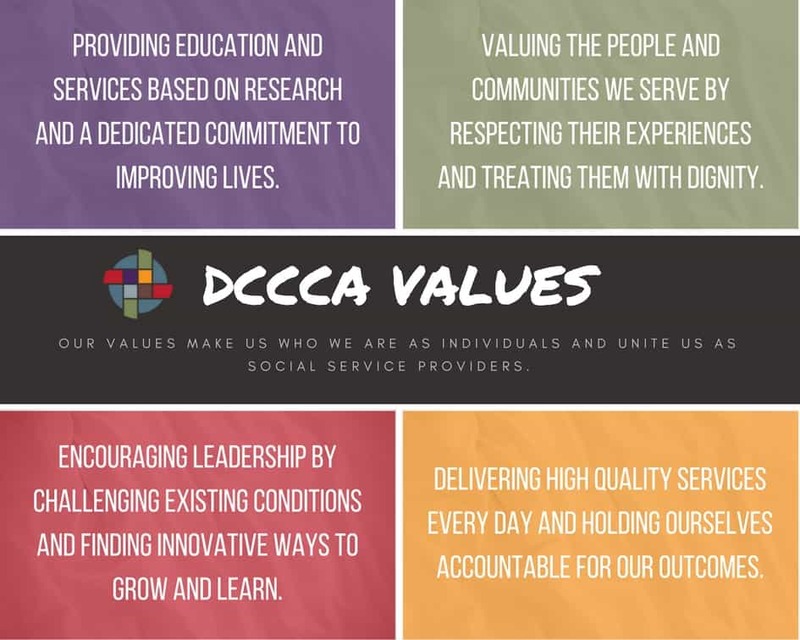 Our values make us who we are as individuals and as social service providers, and they unite us as “One DCCCA”. Providing education and services based on research and a dedicated commitment to improving lives. Valuing the people and communities we serve by respecting their experiences and treating them with dignity. Encouraging leadership by challenging existing conditions and finding innovative ways to grow and learn. Delivering high quality services every day and holding ourselves accountable for our outcomes.